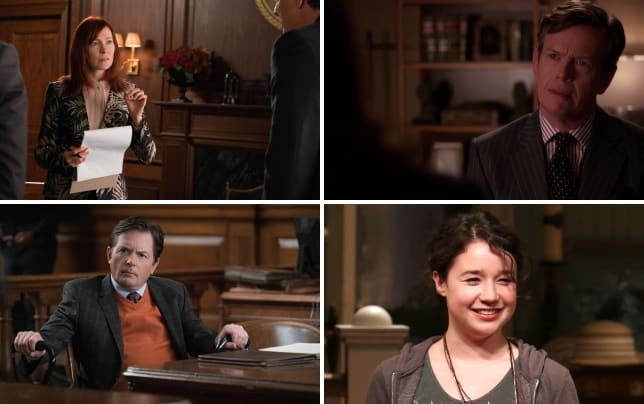 Louis Canning declared his love for Alicia ... while Lucca encouraged Jason to be honest about his feelings and Peter decided to cut a deal on The Good Wife Season 7 Episode 21. 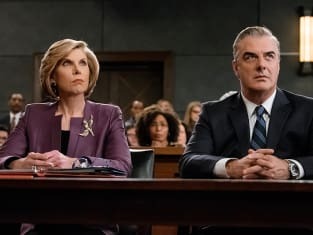 Below, TV Fanatics Carissa Pavilica, Christine Laskodi and Christine Orlando debate if Peter will take the deal, if Jason was right about Alicia and which character was given a raw deal after "Verdict." Will Peter take the plea deal or hear out the verdict? Carissa: I'm not sure how plea deals work. Did he just miss his chance since the jury came back before he made his decision? I MUST know what the jury says. They aren't going to take that away from us, are they?? Christine L: Peter's going to wait on the jury. He doesn't want to go back to jail, but man, he deserves to after all of his garbage. I'm with Carissa. I NEED that jury verdict scene. Christine O: He seemed sure about taking the two years but I think he’ll hear the verdict. Much like everyone above, I’d feel cheated if we never found out what the jury came back with. Is Jason right? Will Alicia stay with Peter if he goes to prison? Carissa: Is that what he said? I totally missed that. What's his logic behind that leap, I wonder. It doesn't make sense that she would stay with him if he went to prison. Visiting and being his friend, sure. But dragging on their marriage again would be pointless. Christine L: No, I really think she's going to go through with the divorce. For a lot of reasons, of course, but mostly because I feel like the entire show has been leading up to her finally liberating herself from Peter, and Jason (especially if he takes Lucca's advice), is exactly the person to make her WANT that liberation. She knows what she missed with Will now because Eli told her about the message, so I really think she'll see the light before the show ends. Christine O: I can see Jason’s point. She’s connected to Peter in a very real way and she’ll feel the need to help and protect him if he goes to prison. Will she stay married to him? I hope not but I wouldn’t count anything out. 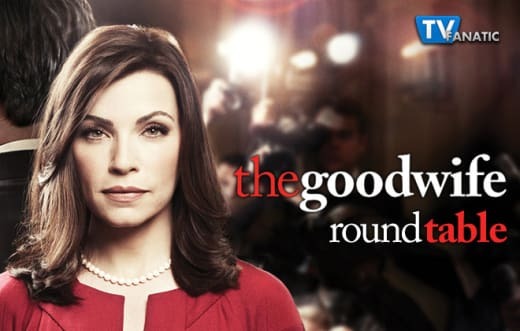 Which one character do you wish we’d seen more of in The Good Wife season 7? Carissa: Cary, of course. When Will was killed, it was my hope he would become the next leading man. He didn't need to become Alicia's love interest, but he certainly paid his dues on the series and earned the right to more story. That has always been my biggest disappointment. Christine L: God, Cary of course! After Kalinda left, there was this gaping hole in Cary's story. He had no closure with this woman he loved, and then NEVER mentioned her again. Like, what even was that?! I expected some more tortured Cary scenes, maybe he becomes a recluse alcoholic, I don't know...SOME kind of payoff there. He was so obviously in love with Kalinda. What we got from Cary this season is, by far, one of the most disappointing things I've seen writers do to a character in a LONG time. Christine O: It’s unanimous. Cary was woefully underused after he got out of prison last season. How could have so little reaction to Kalinda running off? What they’ve done to his character this season has been a horrible disappointment. Was Diane wrong to ask Kurt to testify in Peter’s defense? Carissa: No, because he worked on the case. If he hadn't, it would have been wrong. But their professional worlds collide. I'd like to think they're capable of keeping their business and personal lives separate when necessary. Christine L: Agree with Carissa. If there's anything I love and respect about Diane and Kurt most, it's how well they keep their personal and professional lives separated. Christine O: No, she wasn’t wrong. She never asked him to lie, just testify to what he suspected. If Kurt should be hurt and angry with anyone, it’s Holly. Even though she was angry about him backing out of their deal, what she did was just mean. It’s horrible when old friends turn on you. Carissa: I suppose it was when the demolition crew took the place out, ending it all just a little early. Nothing ever goes well for those crazy kids at that firm. Christine L: For sure, hands down, Alicia's fake cry after Canning told her about Peter's affair. His "God, I love you," was perfect. Christine O: Oh my God, it was Alicia reacting to Canning sharing that Peter had another affair. That fake sob was simply perfect. I couldn’t stop laughing after that The Good Wife quote. How could you not love Alicia for that one? 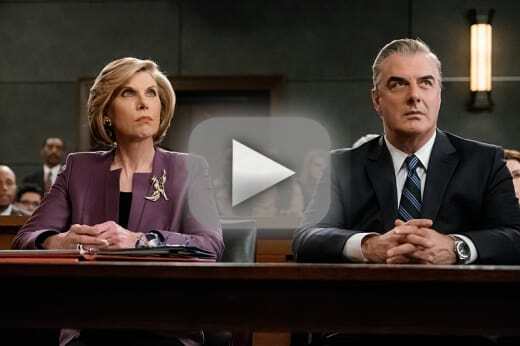 Check back on Sunday night for our series finale review of The Good Wife Season 7 Episode 22 and if you can’t wait for more, you can watch The Good Wife online here at TV Fanatic.